‘What does it take to be a Shopper Marketer? A job that requires one to decode another humans’ mind sure sounds quite a ‘Job’. Presenting you my version of the Shopper Marketer. Understanding humans and their behviour has been a phenomenon ubiquitous since ages. Their evolution, their emotions and their behavior patterns have been learnt, interpreted, and debated. Of all these; one that is gaining increasing importance in the Marketing world is to understand the human as a shopper. The shopper marketers’ life is about decoding the science of shopping and then converting the learnings into creative influencers. What we see as an effective disruption at retail is shopper marketer’s passionate effort to please the shopper. For me they are ‘Artists driven by science’, and to decode them has been my fascination. Thus succumbing to it, I embarked on a quest to know the substance shopper marketers are made of. My quest made me practically read a slew of job descriptions coined for Shopper marketing managers and leaders. It’s while reading one such description, a uniquely different skill caught my attention. It read: ‘Need to have a high tolerance for ambiguity’. Managing ambiguity surfaces as a necessity for a Shopper Marketer especially in the Indian terrain where the retail-scape is untamed and rampant. One side we have the widely spread, highly penetrated general trade; a place where clutter rules. Making sense of this highly unorganized arena and injecting method to it sure needs one to be patient with ambiguity. On the other side, one has to deal with the exact opposite environment – the modern trade, which is growing and has its own set of rules. It’s in these diverse habitats a brand has to survive; and it becomes the shopper marketers’ job to make sense of ambiguity. Thus the shopper marketer making sense of retail understands advertising in different formats and what possibilities exist in each of these for the brand and category to make its mark. While playing in the retail-scape, the Shopper marketer looks at things in a 3 dimensional ways – one: the brand dimension, two: category dimension and three: the shopper dimension. 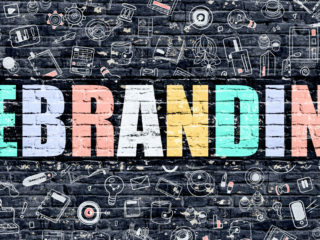 Thus most of the shopper marketers’ today hail from an FMCG background, are a part of the customer marketing and trade marketing team, and have category management is in their DNA. Shoppers today are whimsical, unpredictable. The same ambiguity also exists in the minds of the Shopper, thus Research and analytical skills are a key. The consumer has been talked about and known in and out, but the shopper is unexplored and impulsive. Thus the shopper marketer in his daily course of life separates the shopper from the consumer and packages the shopper insights into actionable points. The knack to understand the shopper mindset and shopper segments that exist is like a hygiene factor for a Shopper marketer. The role of the shopper marketer doesn’t end here, after decoding retail-scapes and shoppers, one needs to encode them into sustainable and yielding shopper marketing programs. The shopper marketer herds relevant insights, converts them into a shopper marketing plans that give brand’s bottom line a boost. They coin plans and programs which transform the store into an effective marketing medium. While making these marketing programs, the tough spot for shopper marketers is to balance out realities and creativity. They have take in consideration the ground realities like operational difficulties, economic feasibilities and yet be innovative in approach and come up with creative solutions. Talking of creativity, being a shopper marketer, one needs to also understand that messaging at retail is different, and is done for a different purpose and that is, to induce action. Thus, although the creative team of shopper marketing extends the ATL theme to the store, they do this with a twist as the communication is for the shopper. They adapt the core message and deploy a ‘shopper rendition’ of the same, interacting with the shopper in a way that creates conversion. It is here, that “the artist” with all the science in place comes into action. Attractive visibility elements, targeted messaging, and informative activations adding value to the shopping experience, these are a reflection of the creative side of the shopper marketer. ROI metrics and analysis are an area that shopper marketer weaves into their programs. The shopper marketer today also thinks techie, as their shoppers are ‘Gadget geeks’. Trying to grab every piece of the shoppers and their lives, technology provides multiple opportunity gateways to enter shoppers’ mind, heart and wallet. Apart from all these specializations, the basic business & marketing skills like negotiation, as well as the supplier and vendor management are the foundation. These scientific artists decode the shopper to encode sales, a job involving varied complexities. My quest to know shopper marketer’s is still on, but on the prima facie, I must say no one knows shopping and shoppers better than them. Previous Post (p)	You know it’s time to rebrand when. 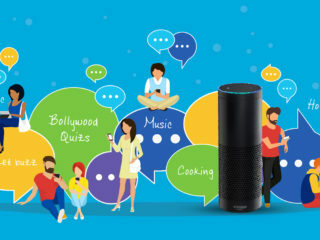 Next Post (n)	Amazon’s Alexa, Internet of things picking up in India.